Las Vegas is buzzing with the Knowledge18 event from ServiceNow, happening this week at the Venetian, but they don’t have the Service Management space all to themselves on the strip. Knowledge attendees have been treated to free dinners, coffee and a lavish party, all aimed at disrupting the Knowledge18 event and promote the value of the FreshService platform from Freshworks. As I headed out this morning from my hotel room in Treasure Island, I was treated to a free breakfast and coffee at Starbucks, courtesy of Freshworks. I chatted to a few people in Starbucks who were benefitting from the Freshworks generosity, and they were a little confused about what it was all about, but were pretty happy to take advantage of the offer. I think the promotion has probably delivered what the team at Freshworks was looking for, people were asking who they were and what they did, so if brand awareness was the goal, it did deliver that to the people in Starbucks today. 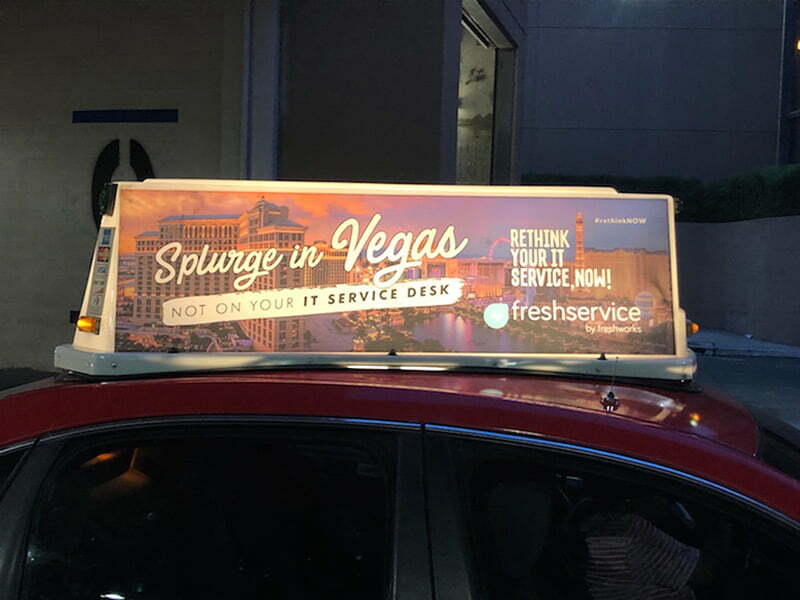 Whether it persuades any of them to investigate the solution further is to be seen, but they will leave Las Vegas knowing the FreshService and Freshworks brand. Freshworks is engaging in multiple promotional efforts during the three-day event. their goal is to raise awareness for its solution Freshservice, a cloud-based IT service desk and IT service management (ITSM) solution built to help teams deliver exceptional support. Freshworks’ multifaceted campaign is centered on the value proposition of the Freshservice solution, and a desire for customers to “stop throwing money away” on solutions that are overpriced and clunky. Marketing efforts for more than 15,000 conference attendees include Starbucks gift card giveaways, targeted geofencing advertising around The Venetian and the conference venue, and a lively cocktail reception. Freshworks’ marketing around Knowledge18 in Las Vegas is aimed at raising the awareness profile of the Freshservice solution, which offers the convenience of multi-channel support through email, phone, chat, or efficient self-service. The industry’s leading ITSM solution also features the best-rated mobile service desk app that’s available for both iOS and Android to provide instant help for remote employees. For more information about Freshservice, please visit https://freshservice.com/.